If you choose to register with the Website, your account is personal to you, and you may not share your account information with, or allow access to your account by, any third party. As you will be responsible for all activity that occurs under your access credentials, you should preserve the confidentiality of your username and password. If you have any reason to believe that your account information has been compromised or that your account has been accessed by a third party, you agree to immediately notify Serta by e-mail to marketing@serta.com. You are solely responsible for your own losses and losses incurred by Serta and others (including other users) due to any unauthorized use of your account. You specifically agree not to do any of the following: (a) use our Website or services to violate the legal rights (including the rights of publicity and privacy) of others or to violate the laws of any jurisdiction; (b) intercept or attempt to intercept electronic mail not intended for you; (c) misrepresent an affiliation with any person or organization; (d) restrict or inhibit use of our Website or services by others; (e) upload or otherwise transmit files that contain a virus or corrupted data; (f) collect information about others (including online IDs, and e-mail addresses) without their consent; (g) download a file or software or include in a message any software, files or links that you know, or have reason to believe, cannot be distributed legally over our Website or services, or that you have a contractual obligation to keep confidential (notwithstanding its availability on our Website or services); or (h) engage in any other conduct that restricts or inhibits anyone's use or enjoyment of our Website or Services, or which, as determined by Serta, may harm Serta or users of this Website or expose them to liability. Further, you agree that you will not (i) use any robot, spider or other automatic device, process or means to access our Website or services, (ii) use any manual process to monitor or copy any of the material on our Website or services or for any other unauthorized purpose without the prior written consent of Serta, (iii) use any device, software or routine that interferes with the proper working of our Website or services, (iv) attempt to interfere with the proper working of our Website or services, (v) take any action that imposes an unreasonable or disproportionately large load on Serta's infrastructure, or (vi) access, reload or "refresh" transactional pages, or make any other request to transactional servers, more than once during any three (3) second interval.  Serta Perfect Sleeper®, Perfect Day®, iComfort® and all other Serta slogans, logos, and product and service names used on this Website are trademarks owned by Serta. Except with respect to the creation of a link to our Website in accordance with Serta's Linking Terms, you agree not to display or use such trademarks, in any manner, without the written permission of Serta. Names, brands and marks of third parties may be the trademarks or registered trademarks of their respective owners and are used by Serta subject to license, or used for identification purposes only. Users are expressly forbidden to misuse those marks. Copyright Serta, Inc., 2013. All rights reserved. All copyrightable text, audio, video, recordings, graphics, charts, photographs, icons, and the design, selection, and arrangement of content on this Website are the proprietary materials of Serta or its third party licensors or suppliers, unless otherwise noted. The distinctive and original layout and presentation of this Website constitutes protectable trade dress under applicable federal law. In addition, many proprietary trademarks belonging to Serta or third parties appear throughout this Website. Serta also uses proprietary algorithms to run certain software tools made available on this Website. These algorithms and all related software and technology are the sole and exclusive property of Serta and/or its licensors. Any unauthorized use, reproduction or distribution of any copyrighted materials, trade dress, marks, or any other intellectual property belonging to Serta or any third party is strictly prohibited, and may be prosecuted to the fullest extent of the law. You will not upload or transmit any communications or content of any type that infringes or violates any rights of any party. You will not use this Website for any purpose in violation of local, state, national, or international laws. You will not use this Website as a means to distribute advertising or other unsolicited material to any third party. You will not post material that is unlawful, obscene, defamatory, threatening, harassing, abusive, slanderous, hateful or embarrassing to any other person or entity as determined by Serta in its sole discretion. You will not upload any content that violates any other persons copyrights, trademarks, patents, trade secrets, or any other intellectual property rights. You are solely responsible for the content you communicate or submit (“User Content”). Serta has no liability for your User Content.  Although Serta is not obligated to monitor content or the accuracy of information submitted through this Website, you acknowledge and agree that Serta, in its sole discretion, has the right to monitor, without notice, any such content or information. Serta will cooperate with any governmental authority in connection with any inquiry into any user or any user content and may disclose information pertaining to any user and any user content to any governmental authority as may be requested. By submitting User Content to Serta or posting it to any area of our Website you automatically grant to Serta and its affiliates an irrevocable, royalty-free, perpetual, fully paid nonexclusive right (including moral rights) and worldwide license to use, copy, reproduce, modify, adapt, publish, translate, communicate to the public, perform, display, and distribute such User Content (in whole or in part) and to prepare derivative works of, or incorporate into other works (in any form, media or technology now known or later developed, for the full term of any rights that may exist in such content) such User Content, and to grant and authorize sublicenses thereof (through multiple tiers). (f) A physical or electronic signature of the person authorized to act on behalf of the copyright owner’s interest. You understand and agree that: (1) Serta assumes no liability or responsibility for any third party content or material of any kind that is submitted to or posted on the Website by you or by any other users or third parties, and (2) Serta is merely a transmitter of any such content, and is acting solely as an Internet Service Provider as such term is defined in the Digital Millennium Copyright Act (DMCA). YOUR USE OF THE SERTA WEBSITE IS AT YOUR OWN RISK AND IS PROVIDED TO YOU ON AN "AS IS" AND "AS AVAILABLE" BASIS. SERTA EXPRESSLY DISCLAIMS ALL WARRANTIES OF ANY KIND, WHETHER EXPRESS OR IMPLIED, INCLUDING, BUT NOT LIMITED TO, THE IMPLIED WARRANTIES OF MERCHANTABILITY, FITNESS FOR A PARTICULAR PURPOSE, TITLE, AND NON-INFRINGEMENT. Because our Website is provided to you "AS IS," you agree that Serta shall not be liable to you or to any third party for any delay in delivery of, or failure to deliver, any of your communications, or other information you submit using our Website. Because our Website is provide to you "AS AVAILABLE," you agree that Serta shall not be liable to you or to any third party for any modification, suspension, or discontinuance of the Serta Website or of your ability to access it. 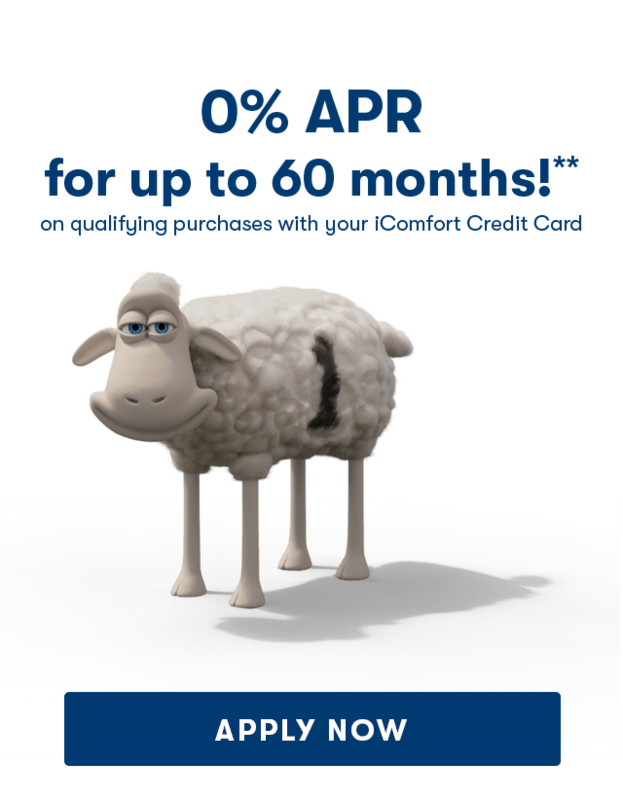 Serta also disclaims any warranty that (i) our Website will meet your requirements, (ii) our Website's operation will be uninterrupted, timely, secure, or error-free, and (iii) any information or communication that may be obtained from the use of our Website (including but not limited to, our retailers' pricing information) will be accurate or reliable (and Serta disclaims any liability for damages that may arise from your reliance on any such information or communication). You assume the full responsibility and risk for any damage to your computer or other consequences that result from your downloading any information, software, or other materials through our Website. Serta shall have no liability for any damage to your computer, including loss of data that results from your downloading any such materials. YOU AGREE THAT SERTA, ITS LICENSEES AND AFFILIATES SHALL NOT BE LIABLE FOR ANY DAMAGES WHATSOEVER, INCLUDING BUT NOT LIMITED TO DIRECT, INDIRECT, INCIDENTAL, SPECIAL, CONSEQUENTIAL, EXEMPLARY, OR PUNITIVE DAMAGES, SUCH AS DAMAGES FOR LOST PROFITS OR LOSS OF GOODWILL, USE, OR DATA (EVEN IF SERTA HAS BEEN ADVISED OF THE POSSIBILITY OF SUCH DAMAGES), THAT RESULT FROM: (a) YOUR USE OF OR INABILITY TO USE THE SERTA WEBSITE; (b) ACCESS TO OR ALTERATION OF YOUR PERSONALLY IDENTIFIABLE INFORMATION OR OTHER INFORMATION IN AN UNAUTHORIZED MATTER; (c) REPRESENTATIONS OR CONDUCT OF ANY THIRD PARTY RELATED TO THE SERTA WEBSITE; OR (d) ANY OTHER MATTER RELATING TO THE SERTA WEBSITE. Some states do not allow the limitation or exclusion of liability for incidental or consequential damages, so some of the above limitations may not apply to you. SERTA'S LIABILITY TO YOU FOR ANY CAUSE WHATSOEVER, REGARDLESS OF THE FORM OF THE ACTION, WILL AT ALL TIMES BE LIMITED TO THE AMOUNT PAID, IF ANY, BY YOU TO SERTA FOR THE SERVICE, INFORMATION OR PRODUCT ON WHICH SUCH CAUSE OF ACTION IS BASED.